Before Week 15 of last season, Panthers quarterback Cam Newton had an MRI on his throwing shoulder. At the time, no damage was reported and he finished out the year with one great game against Washington and a couple of stinkers against the Falcons and Buccaneers. What’s Marshawn Lynch’s Fantasy value if he returns as a Raider? 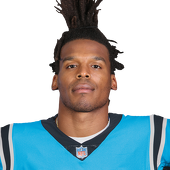 Fast forward to this week when the Panthers announced Newton will need surgery for a partially torn right rotator cuff. At first Panthers doctors and trainers tried to let Newton’s shoulder heal with rehab, treatment and then a throwing program, but according to head athletic trainer Ryan Vermillion, Newton experienced pain while throwing. That’s when it was determined arthroscopic surgery was necessary. As a result, Newton won’t throw for 12 weeks following late March surgery. The Panthers’ goal is to have Newton ready to go by training camp. This is the latest of a series of stories that continue to chip away at Newton’s Fantasy potential. At the NFL Combine in early March, coach Ron Rivera admitted he wants Newton to run less, presumably to keep him as healthy as he can be. Newton suffered a bunch of injuries last season including a concussion, but many of the tough hits he took were when he dropped back to pass. To that end, the Panthers have reworked their offensive line, most notably signing left tackle Matt Kalil to play on the same line as his brother, center Ryan Kalil, though the older brother is still rehabbing from a shoulder injury of his own and could miss the offseason program. As a passer, Newton’s been mostly average for five years and incredibly good for one — his 2015 MVP season when he threw for 35 scores. His completion percentage has never been great (58.4 percent), nor have his pass yards per game (234.1 for his career). Newton has always been known for his beautiful rushing stats, and if those are taken down a notch, even for very sensible reasons like his physical well-being, it means Fantasy owners have to rely on Newton’s arm. And that makes him less appealing, particularly if he’s coming off of shoulder surgery. Thirteen quarterbacks threw for over 4,000 yards last year. Eighteen quarterbacks threw for 20 or more touchdowns last year. Newton didn’t hit either of those marks. Meanwhile, his rushing totals have either gone flat or declined. Last year he set personal lows in rush attempts (90), rush average (4.0 yards per carry), rush yards (359) and rush touchdowns (five). It’s tough to come to terms with the reality that the long-standing Fantasy Football hero is starting to decline, but it sure looks like it’s happening. The workload, the hits, the offensive line and the inaccuracy in his passing all suggest Newton’s Fantasy potential just isn’t what it once was. Newton has slid into what will likely be the third tier of No. 1 Fantasy quarterbacks — still a guy worth drafting, but one you’ll build into a roster, not build a roster around. Even with a slight bump in rushing yards and a higher concentration of passing, Newton’s not expected to get back into Top 5 status. He’s more of a contender to crack the Top 10, provided he can stay healthy, which isn’t a guarantee. I’d take Newton right around the 100th overall choice in my drafts, which is to say I’d rather take a shot on another quarterback, like Jameis Winston or even Dak Prescott, and let someone else in my league get Newton.